This product is able to help the user save a huge amount of cost, simply because it is able to bypass the need to host more telephony hardware and servers. I also like the user interface, it is relatively user-friendly and the short guide is quite helpful when you click on the ? sign, but this can be improved as well. When we construct call flows using Architect, the Expression syntax appears to be a problem because there's very few information source on how to construct a proper logical expression. Multi Factor Authentication can also present a problem because after we setup based on the guide to integrate with Azure AD premium, the MFA login attempt has issues with redirecting to the correct webpage, and there's not much helpful information provided to assist us in resolving the issue. They are strongly recommended to have background in telephony setup as its quite challenging to set and test the telephony part. As for call flow, the challenge lies on constructing the correct logical expression and to test the flow using data integration with the client. It is astonishing to realize that PureCloud can provide almost every functionality like what PureEngage has to offer. 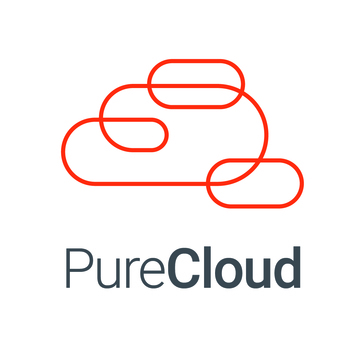 For a small scaled contact centre, PureCloud is definitely the product to go to. The look and feel of the user interface has been well received by all agents and staff, the Deployment process was a breeze aided by an exceptional Genesys engineer who guided me through the whole process - assisting with all the learning points and co running the project through "Go Live" and testing beyond the live date assisting with the tweaks required to fine tune the OOTB solution. Whilst initially the first line support was poor senior management have taken ownership and the new structure implemented means that I am pleased to report that the only contentious area I had has now significantly improved to my satisfaction. Examine the "Out of the Box" features closely and make sure you have the developer support to deal with elements beyond the GUI interface.If you have complex blended Inbound outbound campaigns look to simplify your campaign structures. We now have a system that can grow and handle the changing needs of the business, new features added with gusto and regular system updates. Clarity of call and system performance are excellent. Call recordings are available to managers and no risk of lost recordings, the standard reports are good. Dash board is very easy for staff to use. "Superior in Many Ways—and It's Getting Better"
Insight into what's happening on the phones at the current moment is striking. The Performance views within PureCloud operate at a high-level for the team lead or supervisor, managerial team, admin or anyone else. The best part is that it can all be managed from a web browser and with high flexibility of end-point with soft phone, WebRTC, or hard-phone options. Although the insight into what's happening moment-by-moment is at a peak, the necessity of keen hindsight is not there yet. Looking into the past moments, hours, days, or weeks is tedious. In addition, there appears to be latency somewhat often in real-time displays; when you need to know what's happening second-by-second, this can be something with a little getting used to. In addition, some simple fixes are not yet there like, for example, we are not currently able to disconnect an agent or to change his status if he made a mistake. However, the promise of coming changes shouldn't seem like a mirage. We've found Genesys hears when it's clientele speaks. The resource center for the "Pure" suite is fabulous, full of high-quality material and comprehensive; make that a base for you and your team. There are also active user communities where answers can be obtained, an active customer advocacy program, and many more features that are utilized often by customers and staff alike; answers can be found there, in addition to Support. We've not needed to utilize support much, so I can't speak from experience with the current PureCloud support. For admins who construct the flow of interactions, Architect is not difficult to use once some familiarity is built with it; there are also some free training materials for Architect as well. It will pay off greatly to gain experience with Architect early and often. Our team is more connected than it's been in the past. We operate with a majority of remote or home-based agents and need to be able to communicate fluidly and have ready access to management if issues arise. PureCloud provides "agent assistance" features, direct chat, group directories with calls enabled, and various other ways to communicate as a whole or in various groups, like scrums moving along the field of play. "Constant Dropped calls and Microphone issues"
I like that it has a company chat, so that we can find out if the issues we run into are happening for everyone or just me. I also like the call-back feature, because it helps people calling in to not feel like they have been left on hold for such a long time, just to be told to leave a message. About 30% of my calls drop mid call. I also run into an issue where, if my headset dies, in order for people to hear me again after charging it, I have to restart the program. I also do not like that I am not able to search my call log for past interactions by caller ID name or phone number or listen to past conversations without supervisor permissions. Our last platform made our own interactions very accessible to us which greatly raised productivity. I currently have to go to my supervisor to have him search for me. Genesys also does not allow the users of the system to submit feature requests. All feature requests have to come from the primary account holder, which may not directly experience all of our frustrations. You might wait until they grow a bit. There is potential, but the call/connection issues and lack of access to users kind of outweigh the positive that I can see in the platform. We have a phone system to reach our members and allow them to reach us. Thank you for providing this feedback. We are sorry to hear you are currently experiencing these issues. We will be sure to have someone reach out to you directly to help improve your user experience. Thanks! "PureCloud eased transition and continues to improve"
The flexibility of the system allows us to get creative and address issues that we had not dared to believe that we could address before. The continuous development of the platform can mean that your implementation of a creative solution may not work after the dev team works in that area. This is usually minor stuff, but it can be annoying to track down an undocumented change to functionality that is now impacting your solution. PureCloud is only limited by your creativity. The answer to the question "Can it do ...", is almost always yes. It's simple enough to be managed by non-technical team members; yet powerful enough to allow for creative solutions. If your organization has a technical resource that is familiar with the demands of contact center operations and has a desire to improve the overall agent and customer experience, there are many ways to use PureCloud to help improve the agent and client experience. We are able to display specific information about the caller and the products that pertain to them, which reduces the stress on the agents, helping the agents feel as if they are truly experts on each clients portfolio. It also has the benefit of reducing handle times, and increasing the positive outcomes of each call. "Very stable and easy to use "
I like that this system's uptime is close to 100% over the last year. It is only really reliant on a web browser and a USB port which makes using it a breeze. It was super easy to train out to our call centre. The dashboards and reporting are still lacking a lot. Hopefully, future updates will address this and give us some more out of the box reporting features. I am still getting my head around all of this so it might become easier as time goes on. Ask for a trial period and have a play around with the system. Assign all of the roles to yourself to see the full power of the system. Start learning Architect and get familiar with things like creating variables etc. It can be a very powerful tool if you want to put the time and effort into learning it. Also keep an eye on what is coming up with the system as they are releasing improvements all the time and it will only keep getting better and better every week. Some basic features are not there but they generally don't appear to be far away from being implemented. Having a scalable, very easy to use but still incredibly powerful system that can be managed anywhere in the world. I spent a lot of the time configuring it from home as to not being disturbed. I could just pick up where I left off in the office, at home, wherever. Thank you for your review of PureCloud! Based on feedback like yours, we have been working diligently to improve the reporting and analytics functionality of PureCloud. We have released some new features recently, and will be holding a webinar on June 21, 2018 at 11 AM EDT and 7 PM EDT. We hope you can join us! Contact your Customer Success Team for information on registering, if you haven't received the invitation to the webinar yet. "PureCloud , Contact Center App for Inbound, Outbound, email needs"
You cant Cherry pick calls. This is an important functionality for us to ensure we are serving the customers well. We need to ability to cherry pick calls from 20 waiting. This helps in scenario when customers calls in and also emails us while waiting on call. Rather than calling back, we expect agents to pick up the waiting call from the list of calls waiting. We use PureCloud for our Inbound Contact Center for our services and support organization. It provides ability to capture and route inbound calls to many queues based on SLAs for our customers. We also hold a quarterly roadmap webinar to review new features, and features that will be released in the coming quarter. They're a great opportunity to learn more about what the PureCloud development teams are doing, and make sure that your input is included. Contact your Customer Success Team for information on registering, if you haven't received the invitation to these webinars yet. PureCloud is a cloud-based phone system that gives us powerful tools to handle communication and collaboration. It also has great integration with Salesforce and allows us great visibility into the interactions we have with our clients. In addition, PureCloud has some highly advance features that we look forward to taking advantage of in the future. As with any VoIP based phone system, ensure that you have good, quality Internet service. We have been able to integrate PureCloud with our CRM, Salesforce, and as a result have been able to increase efficiency when it comes to servicing our clients. We have a quarterly webinar to review the PureCloud roadmap, and upcoming features. This is a great way to stay up to date on when new features will be available, and to be sure your input is heard by our product teams. I mostly like the integration with Salesforce. We use the Single Sign On through Salesforce, but we also take all of our calls and email through the AppExchange app in Salesforce. This allows an automatic creation of an activity record for each interaction and additional reporting capabilities. I dislike that there is no longest wait time in the reports. We have run into a few missing key out-of-the-box reporting standards and most have been coming out as time has gone by. They keep adding reports and improving what is currently offered. We are still waiting on longest wait time. We hope to see this one added as well. Keep an eye out for the weekly release notes. Lots of nice features come out. We found a few to help break through a workaround. We are connecting our agents to those who have questions or concerns regarding travel, business, business attraction, and talent in the state. We noticed an increase of customer satisfaction after introducing this product. The agents are able to work more efficiently since we are integrated with Salesforce and so they no longer need to have additional windows open on their computer screen in order to handle a call, for example. It has a very easy interface, its nice looking and the navigation is logical. The app that can be installed instead of using it in Chrome requires admin permissions to update so it isn't feasible for us in a corporate environment as we need our admins to update it (we have too many staff for this to happen), we instead are reliant on the Chrome version which sometimes we lose amongst our other tabs. It takes a little bit to get used to the interface if you are coming from a different phone system. I kept clicking on the wrong buttons and doing the wrong thing for a while but now that I am used to it I am finding it really easy to use and the interface is very appealing. Being able to allocate calls to the agent with the correct skillset with a very professional IVR. What I like is that the dashboard are easy to read and multiple. It's a good thing that the datas are available by intervall and by day. The reports are easy to create and fast to generate themselves. With architect we can do whatever modification we want to the call flows and it helps a lot to do some tests on pre-production. With the API, we are able to make some updates faster. When a ticket is opened, we get a response fast and most of the time it is solved pretty quick. We are not able to disconnect an agent or to change his status if he made a mistake using it. It could be easier if we could also suppress some interactions by ourselves. Some dashboards need to be refreshed manually to display live data. It is not possible to create a report from scratch. The quality of the calls upgraded a lot. We are able to change the architecture of our flows by ourselves. It's easier to manage the agents activities. "Effective, easy to configure software for mid-sized contact centres"
For a simple solution for small- to mid-sized organizations, PureCloud is simple, flexible and cost effective. Very large or more complex organizations may have trouble managing with the tools provided, but the simplicity for our teams means they can manage most changes themselves. The goal with PureCloud was to facilitate the connection between customers and our support teams. For handling calls, it has met or exceeded our requirements and has provided us the tools needed to continue improving the experience. The ability to amend/change the IVR very quickly and efficiently is one of their selling points... The system is good to use from both an Admin and end user perspective.. It is a very intuitive system and the processes flow seamlessly together. PureCLoud support are second to none they are on hand to support fairly quickly and 9/10 are able to deal with any issues within 24hrs. The reporting from PureCloud could be a little better. The ability to custom build reports would be a massive selling point for them as the Out of the box reports are sometimes a little clunky to use however when you get used to them and the format they export out in they are usable with good detail. They are very good with the initial build and deployment, if you provide the accurate and up to date call flows they build exactly as you request so its a fab time to integrate new features that you currently are unable to use. Their support is good and the turn around is fairly quick when dealing with an issue - They also have a community that you can sign up to which is great for troubleshooting or gathering insights from other businesses. We have been able to solve the OMNI channel issue with the installation of PureCloud. We now have a dedicated team that deals with Calls, Email & Chat with little to know issues. They are all multi-skilled now in the different media types which means we are able to maintain a steady service level whilst delivering good customer service for all types of communication in to us. We have now realized that we can unlock other areas within the OMNI channel looking at social media, text and also NPS results on the back of phone calls. With moving over to the PureCloud cloud based platform came a system that consistently has enhancements rolling out to allow us to continuously develop and refine our contact centers experience. More advanced troubleshooting is generally left up to Genesys, this isn't necessarily bad but takes time getting used to handing items off. Purecloud is actively updated and developed on, this allows you to make frequent enhancements and changes to everything you build until you've configured your contact center to the exact specifications you were looking for, and the developed items way beyond what you were capable of doing with your old pbx. New admins - you should constantly make revisions as you learn more in architect, architect is very versatile and we've found throughout the years that we learn more and more on a daily basis that can used as revisions in other call flows. Put hours into architect, constantly try to make things better because there's a good chance that you can. There's a lot that you can achieve by taking some time to test things out. The benefits are numerous, ultimately this fixed the age old problem of running off of a platform that will eventually reach end of life as we now have a platform that has constant active development. I love the integration capabilities, especially with Salesforce. Creating data actions within the IVR based on customer information from Salesforce has made such a huge impact on our ability to better serve our customers. While there are great premade reports within PureCloud, I wish there was a way to create and customize unique reports. I would also appreciate the ability to flag the customer's journey through our IVR. We have been using PureCloud as our telephony system and workforce management for 2 years now. While being a customer, PureCloud has released some great changes, including SMS, which we have recently started to implement. "Versatile product that's ever evolving." That between an Admin, an Architect and a Telephony resource you can run the platform quite efficiently. Ability to change the IVR, the sounds prompts, the call flows, the queues. It's configurable enough to suit many needs but easy enough that it can be done in-house for the most part. Good Developer Forums and User community, so your IT and Business resources have places to go for questions and knowledge sharing. They continue to add more features quite quickly. Cost of licenses is quite high. More examples/training about how to do integrations and api calls, this is where you can really unlock some serious power. Being able to reduce the effort placed at the store level (ex. Busy signals, no one picking up). By implementing Purecloud we've been able to unify the effort and better serve our customers, no more missed opportunities or frustrated customers. "Onmnichannel platform with easy deployment and great integrations"
PureCloud covers all channels and new channels that will come. One platform, one User interface; Each type of interactions has same functions/screen. If you know how to answer a call, the users can answer an e-mail or webchat. Not all channel are mature BUT this is temporally. Genesys is working hard to solve this gap. Best Cloud based call center solution on the market. Yes it has its gaps but every 2 weeks new/optimized features are deployed. "Genesys PureCloud - Good Idea but Not Ready for Prime Time"
Being able to have a phone system without all the supporting hardware and servers at the sites. Administration and changes are cumbersome, slow, kludgey and there is virtually no support. Really take a good look at the day to day changes you might need and the difficulty of making call flow changes with this product. PureCloud which is very new, is still missing features that premise systems have had for 15+ years. In addition, doing simple call flow changes requires a developer to understand the system and the documentation and support is not good. Some customers required a cloud solution, so we implemented Purecloud and the BYOC solution to allow them to utilize existing SIP trunks with the cloud based phone system met all their needs. Cloud hosting platform is great, when it works. User interface is fairly intuitive. Ease deployment of new users very helpful - appreciate not having to deal with phone management. * Transition after Genesys bought ININ was not handled well. * Support CAN be horrible.. If you can't literally reproduce the error every single time you end up on a spiral of "oh you need to gather more logs". Our contact center agents do NOT have time to gather logs. Genesys support needs to get the logs from their product. Oh and half the time they're gone - they roll off after some crazy short time. Support blames everything on the network and stonewalls. "Oh, you didn't whitelist our insane list of firewall exceptions? We can't be held responsible for that. Use industry standard proxy server? We'll blame that." List goes on and on. * New features are rolled out at a glacial pace. Feedback we gave was ignored. A year later and still no basic outbound sms features. * Clearly not good channel for our vendor partner to advocate for us within Genesys organization. Some good employees there are stymied in their efforts to help us. We insourced our call center. This was a quality increase and cost savings for us. Previously we used a simple supervision setup where everyone's phone rang at once. We are working to improve our roadmap visibility, and our ability to capture issues in a proactive fashion, and should have some updates on this in our Q3 roadmap review. Please keep an eye out for the webinar invitation for the roadmap review! All of our interactions with our customers are now in one platform. Previous to moving to PureCloud we were spread across 3 platforms that didn't speak to each other, this was frustrating to both our customers and our agents. Additionally, PureCloud was easy to implement. Analytics are lacking in the standard reporting function. If the ability to create ad hoc reports existed here, that would be helpful. I also don't like that when a solution is used to resolve an issue in one are, such as IVR, that the same aspect isn't looked at in another area, such as Outbound Dialer or vice versa. For instance, I can disconnect a stuck outbound dialer call, but if an Inbound (IVR) agent dials out to a customer, I am am unable to disconnect that stuck interaction. Being on the beginning end of this I see changes every week, if you don't see it today, ask if it's on the roadmap because they are putting features in so fast that if it isn't here today it may be on it's way very soon. -That we can properly transfer our customers and be able to share information with other agents. - The ability of agents to chat each other as a resource without having to seek a supervisor. - Being able to evaluate calls and leave notes in with the specific call for the agent to review and be able to hear what they said and see the note left regarding the interaction. - The ability to see customers as they are interacting in Chat/Email/Call all at once without having to jump between systems. -Ease of use - very intuitive for the agent and easy for the implementation. -As a third party call center, it has made it so easy to add clients and start taking calls in a fraction of what it used to. - We have control over our own messaging as well, like placing inclement weather messages. "Not the best product in the Market"
We use this at our call center for tracking the per CSR calls, ASA, handle times etc. The advantage is that I can split the queue for different lines of customer service lines by just drag and drop. Another advantage is that I can project/mirror the pure cloud summary screen across various systems. This makes it easier to project it in different board room and everyone can look at the quick summary all at once. The simplistic design also helps people with minimal technical knowledge to configure the system by themselves. The reporting feature is terrible with no advanced reporting capability. Their customer service is very poor and almost every week there are "technical issues" with purecloud that make the calls drop, or have callers taken out of the queue. The server of purecloud is on the east coast and no where near the bay area, so there is sometimes a considerable lag time. I work with the CSR data to determine the teams efficiency and we use purecloud to track the calls and identify caller types, call reasons and other demographics. Purecloud is an easy to install, easy to configure cloud based application. "A great platform to keep all communication in one place." I love that PureCloud offers a one-stop shop for all communication outlets for customers. They keep everything in one easy to use spot. They combine email, social media, and even messages and calls into one space that you can easily pull up and search. It takes all the stress of organizing away. PureCloud truly has such a great concept and development that it is hard to find something to dislike. I left because my company stopped using it. Personally, I would have stayed. I would definitely give it a try! They normally offer a free trial to get started, after that, they offer 4 different options with reasonable prices. The first option starts at $19.99 for a basic and it can go up to $129.99 for the all-inclusive. It is a great deal! When my old company used it, it was such an amazing tool for someone like me who dealt with customer relations and questions to be able to see what everyone was saying, and an easy way for me to respond to them in the fashion that was best for them. It made my job easier. I didn't have to sit and search all these different forms of communication to find what I needed. I liked the clear interface and hassle-free interface. I was working with a pipe manufacturing and trading business in Dubai and I wanted something easy to implement to start things off for the sales team. The main screen has not too much going on and all the tabs like activity, directory and documents are on the left or top panel. I didn't want my sales team bombarded with the info right from the start which I guess don't really help when you're getting multiple calls and often leads to mistakes. I also particularly like the Interaction module within the cloud app where you can access all kinds of history relevant to a particular client including timelines, evaluations, audit trail and complaints. Calls can be recorded and monitored to ascertain problems and definitely help in troubleshooting. But being a manager evaluation was the most important tool to gauge my sales team's ability to resolve disputes. Connectivity was ok...I said OK because I had a few customers call me saying that they had to wait to find the next available agent while no member of my sales team was on a call at that particular point. May be it was just a bug and am sure this has been resolved. I think PureCloud is a great cloud based platform for SMEs and startups and they just need to tweak a few things in my opinion. As I mentioned earlier-Security Questions and verification process needs to be enhanced to minimize the risk of fraud. Connectivity and linkage could be a little better...Am sure they must be working to improve it and it's better than before. Interface could be a little more dyanmic. - Sales Inquiries and Inbound Calls. I was able to keep a track of my team's performance and my team would generally go an extra mile to ensure client satisfaction as they knew am watching what they're doing. I must say it resulted in increased productivity and efficiency. Client database was very streamlined and I could focus on getting the lost business back using the unresolved complaints tab. It ensured I could personally look into what went wrong and step in to rectify the situation if need be. What we like best is that it works all of the time. Our old software had outages all of the time, but we've yet to have an outage with PureCloud. There are occasional bugs to be dealt with, but all channels are still functional and our customers can still reach us - something we couldn't say before. Reporting is the one thing I wish we'd further investigated before making the switch. We still would have made the switch and we are still happy with PureCloud, but we would have had a better plan for reporting from the beginning. There are ample reports, it is just that they don't meet our needs. We are a grant funded non-profit, so our needs are different than many businesses with contact centers. Identify your needs and what your future needs may be, then do your research. Ask a lot of questions and make sure it is going to work for you. For us, PureCloud is great and we love it! The biggest business problem we've solved is having a reliable way for our customers to contact us. We promised to be available to help our customers, but with our old system one or all of our channels were frequently down. One big benefit for us is that it is in the cloud, which has reduced the load on our IT team, who services all departments, not just the contact center. Another benefit we find is that we are equipping our agents with a quality product. They like the user interface and it is easy for them to use. We are giving them a great tool to use to get their work done. "We have implemented Purecloud Contact Center from Genesys, in France and in Italia"
Purecloud allows us to set up new way to build customer journey, taking into account phone calls, live chats, with a seamless integration with Salesforce as CRM. As we wanted to impement the full solution as a service, the configuration from a security & network point of view was not as easy as expected. We wanted to move from a On Premise solution, fully customized to a new cloud solution, without specifics, fully standard. From a business point of view, our goal was to build specific customer journey, a multi-site customer services and take into account others channels like mail, live chat, live video. "Easy to manage and learn whilst delivering premium results"
The ease of access of this platform. To be able to implement a change in real time and have it live within an hour is great. The cloud base means some issues occur (as it would for any other cloud based software) in saying this, the support team are great at resolving any issues we have. Don't worry about the ease of transfer, it is seamless and the PureCloud team are fantastic. The technical support of pure cloud is not upto the mark. It take more time to solve an issue. We had days when we were not able to make calls because of there server problem. We need proper network while using Purecloud otherwise the application crashes and we have to login again . If you are looking for a user friendly cloud service platform for communication and for sales purpose pure cloud is the best, but it lacks technical support . "Big Bang for the Org! " The price moving to the next level is a hard pill to swallow. If you are looking for a simple product that will do a & b, then Genesys is the way to go. It is easy to configure, easy to administrator. Solving bad Customer experiences, Stores being too busy to answer calls no longer have to be tied to the phone. "Fast deployment and and great collaboration features"
The built in collaboration features make this platform have a nice built-in feature set to allow it to replace the need for slack or other collaboration platforms as add-ons. This allows for a better overall integration between the collaboration and contact center platform as well as reduced overhead maintaining multiple accounts. The feature set isn't as robust as PureConnect and you have significantly less control over the environment. Some of the configuration tasks can feel slightly cumbersome for a recent as PureCloud was developed. Before the acquisition by Genesys, Interactive essentially abandoned feature development on their on premise platform (now PureConnect) to divert all resources into PureCloud. You can really tell based on the native features that they have available (web rtc, co-browsing, etc). The platform is becoming more and more mature with age and is a real competitor in the cloud only contact center space. Make sure you check out Cisco's Broadsoft, too, as there are some 3rd party vendors doing some very neat things with it. We have not fully deployed or adopted PureCloud, but we have experience with the platform, and with the vendor Genesys. The benefits you would realize from this platform are reduced infrastructure overhead and for new deployments, reduced time to go live compared to standard on premise solutions. "Great experience with a competent team behind it"
PureCloud is currently in the "eye of the storm" regarding virtualization and the future of customer journeys. It has standard integration with major CRM platforms, and if this is not available, there are partners that can provide this functionality relatively easily (such as Avtex for Dynamics). New channels and functionalities are being added frequently. PureCloud is a safe bet if you don't want to be left behind in your customer interaction capabilities in the ever-accelerating world of technology and business. The only drawback I can mention is that the PureCloud doesn't necessarily equally well with all underlying cloud communication platforms, so you should make sure you are running an ideal "stack" before deploying. Creating seamless integration with new CRM technologies including integrating new channels to the customer journey and also supporting call center failover/DR capabilities through the work-from-anywhere approach that a cloud call center solution provides. Responsive sales and support that is quick to make you a priority. Simplictiy of having web interface and desktop client is helpful in a windows / mac envrionment as well as mobile. Uptime status being publicly available is a great way to verify reliability before signing any contracts as well. architect could use more functionality in the drag and drop category so i dont have "code" dates and other checks. Do the demo and make it as real world as possible to see the benefits. Building customer relationships. Noticed responsive support to ensure we are available to customers when they need us. Uptime is extremely important to building that relationship and Genesys' uptime page is a clear indicator that they do it better than the previous partner we used. PureCloud is an easy system to use. My computer automatically logs me in every morning once I get it work. If you are away from your desk or offline, PureCloud will show your status so others are able to see. It is an easy way to chat with co-workers, whether they are in the office, working remotely, or located in a different state. PureCloud is also our phone system - this is where all incoming calls come into. It's nice because it can be used as a messaging system and a phone database. It saves all of your messages so you can go back and read old ones if necessary. You can form groups and set favorites. There have been times where someone has sent me a message, but I did not get a notification. Due to not receiving a notification, I did not see the message for multiple hours. I feel like this could cause issues in the future, especially if the message involves urgent information. It is nice how the system saves your messages forever, but I would like if there was a way to delete a message. Sometimes you just want to clear your inbox and start fresh. PureCloud is a great system for communicating with co-workers. It makes it easy to chat with people whether it be personal or in a group. You messages are saved forever, which makes it super simple to go back and find an old message for reference. This system has made it very easy to communicate with co-workers in any location. Sometimes I will cover the reception desk for a couple hours and PureCloud has made it easy to find out who is in the office. If a customer comes in and asks for a certain employee, I can quickly look them up and see if they are available or not. It is all-around a good system to use for communication, availability, quick messages, phone calls, etc. The community forums, support & ease of finding the information I might be looking for. The product cost. It is holding us back from expanding our use at this point. Our Stores are extremely busy during spring and fall & this is helping them not answer the phones for information calls. Some features should be better, such as supervisor desktop and ability to customize fields. Do talk to customers who have the system implemented, and consider going all in..
We also a quarterly roadmap webinar to review new features, and features that will be released in the coming quarter. They're a great opportunity to learn more about what the PureCloud development teams are doing, and make sure that your input is included. Contact your Customer Success Team for information on registering, if you haven't received the invitation to these quarterly webinars. The User Interface is really appealing, everything is intuitive. Moreover, it's an all in one solution so it makes us use less different softwares, and new people joining the group only have to learn how to use one software. I didn't use it that much but if I had to say something I dislike it would be that it's not mature enough, some basic functions still require to be enhanced and simple functions (like wiping all read inbox messages) to be added. It's a really nice tool that lets you focus on what's important. Some people here have to use it 2h+ in a day, and they can tell the difference, it's comfortable and reliable. Just make you have another software just in case, because the system isn't perfectly mature, but even so it should be okay. We spend far less time helping people to get used to the product, and thanks to the quasi flawless user interface, everyone actually likes to work with this tool. Some people in the group said they are less tired and they feel like it's just simpler to use and they can focus on the real tasks. PureCloud integrates with a variety of different applications, such as SalesForce, Microsoft Active Directory, Android, Apple products, Rest API, Zendesk and Chrome. Genesys PureCloud enables the user to chat, call, or video seamlessly, and has a very intuitive interface. The system is also fairly intuitive, requiring little formal training at the onset. This enables the environment to get up and running fairly quickly, which was a huge need. The environment itself is robust, and is able to meet the customers needs. PureCloud also helps with future planning, capturing trends that can be analyzed and used to further assist customers. The user interface, while beautifully designed, can be difficult to navigate. Would recommend Genesys PureCloud to others for the beautiful interface and for the ability to connect between knowledge base and needs seamlessly. It is important to be able to connect all areas of business, as it can be frustrating not being able to connect the right person to the correct resource. The ability to be able to do so in the cloud is incredibly useful for the business. In addition, one can do so via a variety of methods, including call, chat or video conferencing. PureCloud gives the ability to connect the right people and information. For example, instead of having to call multiple desks for multiple issues, PureCloud enables one to connect the right person seamlessly. In addition, it is helpful to have this solution on the cloud and in one central place. "My review for Genesys PureCloud!" The most interesting thing about this Cloud is they add features every time! It's easy to navigate and to use. Genesys PureCloud has the better functionalities and it's very friendly. Anyone can use the cloud. I have been testing it's so reliable. The user interface is really beautiful. The people you work with are always friendly and help you with everything. You have some cost reduction so you can save money! The main problem sometimes is the reporting system. It takes some time to have a reply when you create a ticket. Another problem is that I really need the sms channel is not available and I really need it for my work.If they could add more channels for services It would be really better. If you want to save time and be more productive this is the greatest thing you can use! It's so easy to use that I can work more faster than ever! I'm able to save time and that's the most important fact and of course Genesys PureCloud improves me efficiencies and productivity. You don't have to learn for a lot of time because there are not hard things to learn so you also save time for that! We released our initial SMS functionality on March 7, 2018. You can review our release notes from that date in the Resource Center. We also have additional SMS enhancements planned throughout 2018, so you'll want to attend our quarterly roadmap reviews for those new releases. We have been working diligently to improve the reporting and analytics functionality of PureCloud. We have released some new features recently, and will be holding a webinar on June 21, 2018 at 11 AM EDT and 7 PM EDT. We hope you can join us! Contact your Customer Success Team for information on registering, if you haven't received the invitation to the webinar yet. Your Customer Success team can also help you locate the new SMS features, too. PureCloud is the next-generation, all-in-one cloud contact center solution that helps you manage and understand omnichannel interactions in a seamless customer journey. Give your employees a single tool that handles all communications voice, chat, email, social and more. An intuitive interface makes it easy to use. Rapid innovation ensures youll exceed customer expectations today and tomorrow. PureCloud is simply powerful and powerfully simple. It's easy to use and is so feature rich out of the box it. The organisation loves the collaboration tools. Ease of use Technically superior Great product with very comprehensive and flexible functionality which makes works easier. "Good at basic IVR functionality." IVR capabilities and customization. Reliability is very good and the platform is stable. Customer support is difficult to communicate with and often responses are outside of normal business hours. This is all due to language/time zone issues. Features that are offered do not always work. Poor or misleading documentation. Prompts change without warning or notification. The layout of each site is not intuitive to IVR work (no flow). No change management or revision history. Voice recognition does not function as advertised. If you need voice recognition this may not be for you. Otherwise a good product with poor overseas support. A reliable consistent IVR with some good capabilities. Thank you for your review of PureCloud. We have been working with customers like you to improve our Resource Center documentation, and the experience from our Customer Care team. We will have some new tools released soon that we think you will enjoy. "clients and customers experience a level of unparalleled service delivery!" The Browser based tools are extremely simple to use. Customer Chat and screen sharing provides a great experience for our customers. Allowing the customers to choose their mode of communication is awesome, allowing them to use twitter email, instant message or even as basic as calling into a live human. The APIs and Integration in to other ERP systems is outstanding. There are some issues with the different channels as they have just not but production long enough. I'm sure that Genesys will solve them in future releases. I would like to see the ability to customize fields within supervisor desktop. Asking the right questions and identify your needs and future needs to ensure this product will work for you. We now have higher productivity from our agents, better insights into our call centers and agents. Our systems are much more reliable than they were in the past. "Comprehensive Service Hindered by a Cluttered UI"
The overlapping UI. In order to fully utilize the service you have to have an entire monitor dedicated to it. Previous softphones I've used (RingCentral for example) require very little space and efficiently uses said space efficiently. Our business is comprised of a family of smaller companies. We needed a unified platform that would be flexible enough to handle each company's idiosyncratic needs, and PureCloud definitely delivers. Availability, easy implantation, improve your business and your customer experience. Nothing. I love it, It´s true nothing is perfect, but I can check every day how PC is a much better day after day. We improve contact centre level service, CX and agents jobs. "Purecloud for Telephonic Care Management"
Purecloud allows our Care Managers to interact securely with patients of our Care Management program. As a healthcare company, it was important for us to choose a call center solution that protects our patient/care manager health related communications. Although Purecloud has many of the features we require, we could benefit from more reporting options. Purecloud does partner with a third-party vendor to meet this need currently but it would be nice if it could be offered as part of our plan. Purecloud is an easy solution for our care managers to access when calling patients of our program. It is user-friendly and allows many of the features we require to include call recording and HIPAA security. Genesys focuses on innovation and best practices, the team in Colombia and its partner in Ecuador have been very open and supportive so we can explore different alternatives to implement our new processes. We appreciate the time and effort they have devoted to us. During the implementation process we needed to go back and remind some of the terms discussed and agreed with the local partner and the office in Colombia. "A bit confusing at first, but solves a big problem "
Since switching to Purecloud we have been able to activate our work laptops as phones, which is huge. We work with customers but work from home half the week and it was frustrating only being able to schedule calls for when I was near my phone 2-3 days a week. Now my number is connected to Purecloud and I can call from basically any company device with a microphone. When I click “away” or “meeting” or “break,” I’ll often return to find it has automatically switched back to “available,” meaning I miss calls. I wish it didn’t automatically change and that you had to put yourself back available. We are making ourselves more available to customers and we’re able to make calls/contact people from anywhere. "Purecloud has been easy to implement and easy to use enterprise contact platform." added in the weekly release.Technically superior Great product with very comprehensive and flexible functionality which makes works easier. The platform has become more reliable. has been idle in after-call-work. Additionally, the availability to have voice mails auto routed like calls would be a nice feature. PureCloud is for everyone who used IT and contact center operations that prefer rapid delivery, all-in-one, cloud contact callcenter solution. We implemented virtual call center based on IVR for support issues of our of our property estimation portals. "A phone service with unreliable performance and subpar reporting"
The ability to create and manage several different queues. The software is unreliable in that it has had several complete system shutdowns in the short time that we have utilized the product and the reporting options are minimal and difficult to pull meaningful data from. Unless you do not have a need for detailed reporting and do not rely very heavily on a reliable phone service, research other alternatives. Sales and support phone interactions with members. Hello! We are sorry to hear about your experience with Genesys. If you could please reach out at customermarketing@genesys.com we will gladly assist and see if there is something we can do to improve this situation. Thank you and have a great day! "A flexible and cost effective platform that will modernize your call center"
Well documented API libraries, extremely scale able and cost effective. * We monitor all Genesys PureCloud reviews to prevent fraudulent reviews and keep review quality high. We do not post reviews by company employees or direct competitors. Validated reviews require the user to submit a screenshot of the product containing their user ID, in order to verify a user is an actual user of the product. Hi there! Are you looking to implement a solution like Genesys PureCloud?